The cap protects the connector of the USB flash drive from oxidation and dirt. The cap can be lost. The Transcend JetFlash 350 combines classic form and advanced modern "stuffing". This flash drive not just allows you to store a large amount of data but also provides an acceptable reading and writing speed. 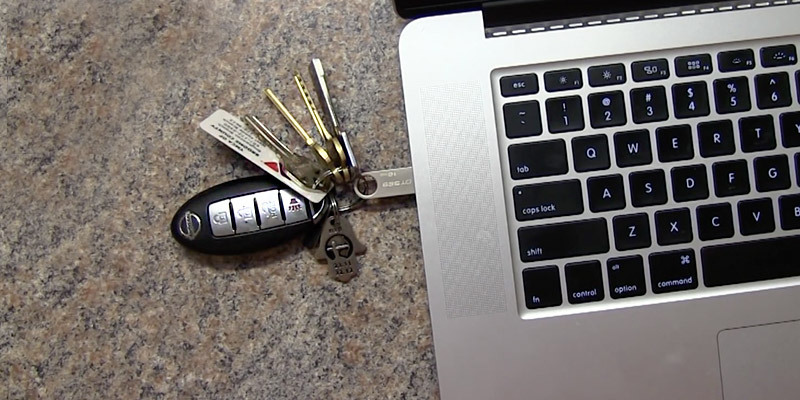 A miniature compact metal body allows you to use a USB flash drive as a keychain. The paint on the logo may be worn away over time. 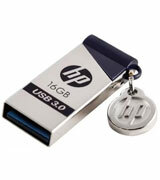 The USB flash drive from HP is a miniature device providing the extremely high writing and reading speed. Features an exclusive software to store and backup the important data. The slider type design can wear out over time. This affordable and simple flash drive by SanDisk will become a good purchase for all those, looking for quality products at a sensible price. The reliable case of this drive allows you to carry it around wherever you go. Average read and write speed. One of the smallest USB flash drives on the market. Ideal for daily use. Exclusive flash drive design makes this Sony pen drive an excellent choice for users valuing stylish and beautiful things. The plastic eyelet is prone to scratching. In spite of a small size, this drive is good at both storing data and broadcasting video and audio. 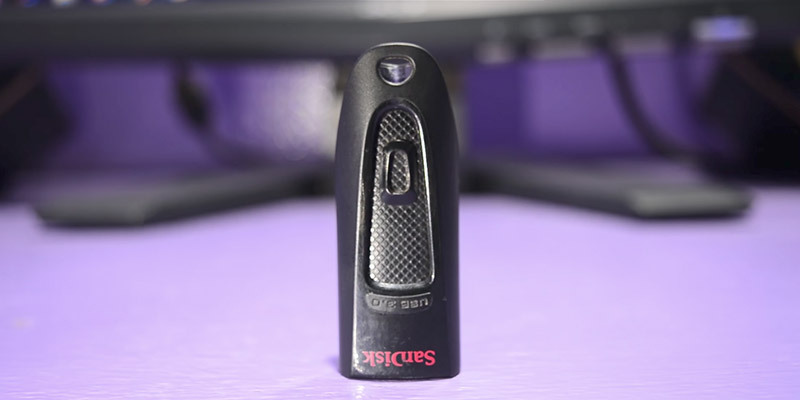 The JetFlash 350 is one of the most common flash drives from a famous Taiwanese brand Transcend. The secret of success is a simple strict external layout and quality components. 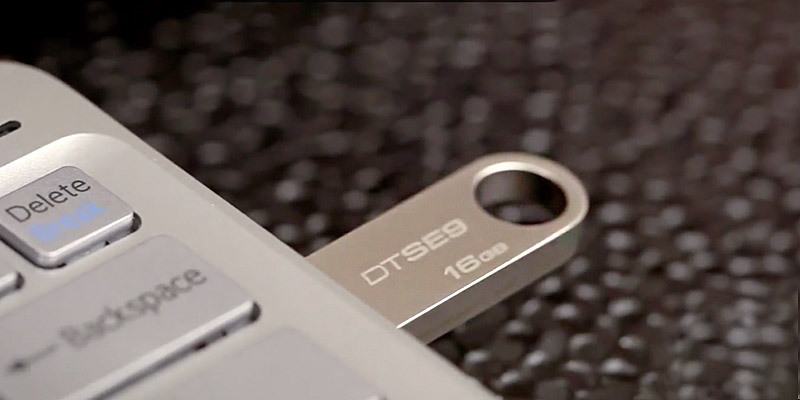 The flash drive measures 61.5mm x 18.59mm x 8.7mm and weighs only 8.5 grammes. 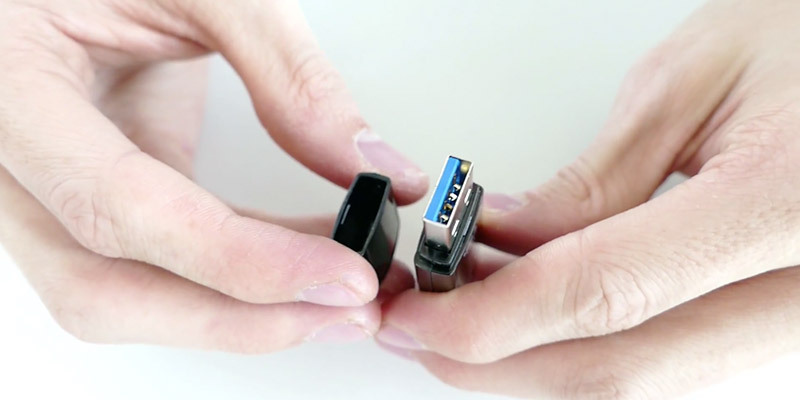 The USB connector is securely protected by a cover, which prevents the metal body from oxidation, and dust can not get on the device contacts. It is worth noting that the cover is not attached to the case, so if you are not careful enough you risk losing it. 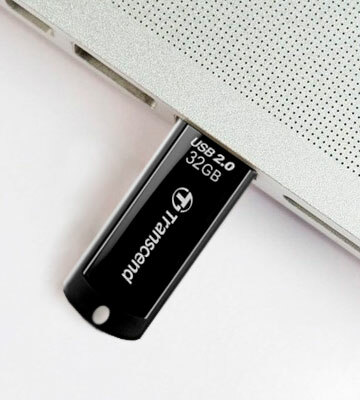 The most common version of the JetFlash 350 is the drive with the built-in memory of 32Gb, although there are other capacities to choose from as well. You can find 4, 8, 16, 32 and 64Gb drives. All of them look the same and offer the same reading speed of 15 MB/s; the writing speed differs, though. The JetFlash 350 with 4Gb memory has the speed of 4 MB/s, 8 Gb and 16 Gb - 7 MB/s and 32 and 64 Gb - 11 MB/s respectively. It should be mentioned that these parameters are not the fastest, but on the other hand, they allow recording and reproducing large amounts of data without any problems. The JetFlash 350 offers a USB 2.0 interface with a bandwidth of 480 Mb/s. 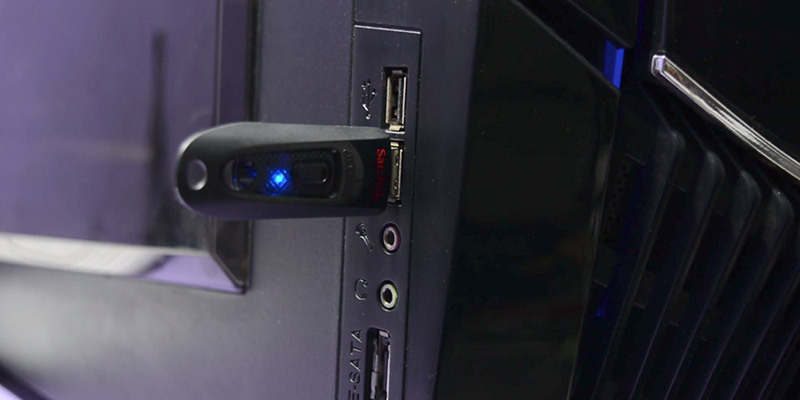 It should be noted that this interface is suitable not only for USB 2.0 ports, computers or laptops but also for USB 3.0 ports because the new generation of USB ports fully supports the previous ones. But in this case, USB 3.0 will provide the bandwidth of 2.0 standard. The Transcend also features a blue LED light indicating the power (lights) and read/write operations (blinks). In the case of the controller initialization error or its freezing, the engineering utility ChipGenius version 4.0 will help you restore the USB flash drive functionality. You could also use a simpler JetFlash Online Recovery program. 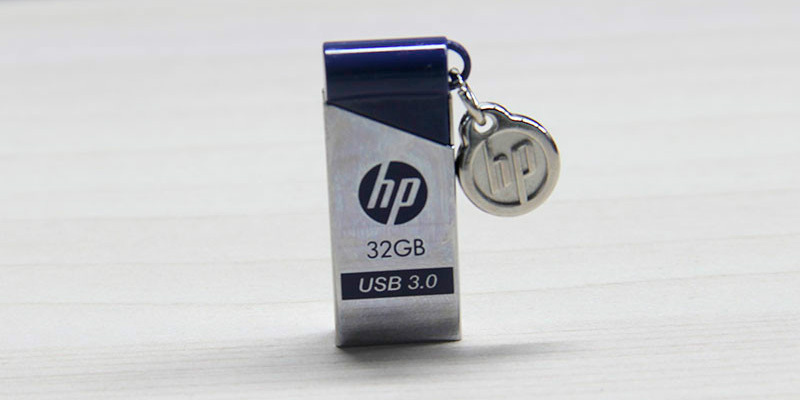 The flash drive of HP is rather small, it is only 3 cm long and 1.2 cm wide. Despite such a small size, it is yet incredibly durable owing to the metal housing that envelops it. You can carry the HP X715W just in your pocket, or you can attach it to the keyring as a keychain. 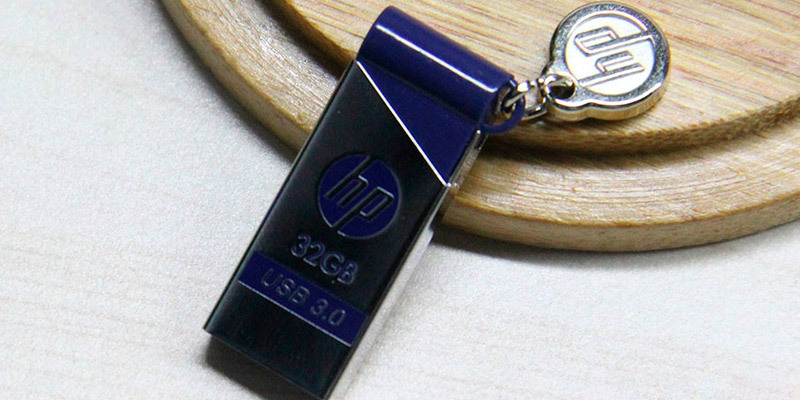 The branded HP logo on the dark part of the case matches perfectly blend other dark elements of the flash drive. 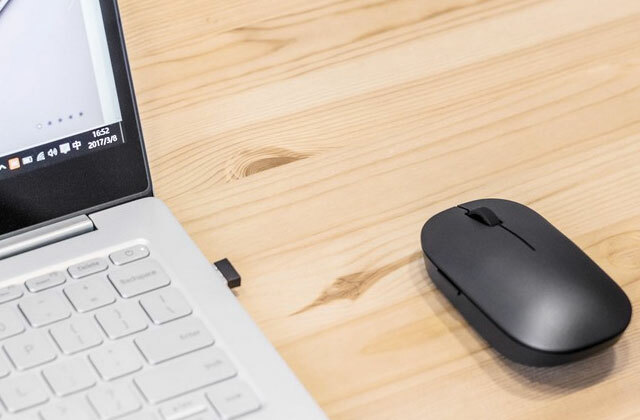 Although it is made of metal, it is one of the most lightweight models among competitors - only 5.3 g.
An important criterion of the device performance is the writing and reading speed which both are extremely important when it comes to recording and transferring large amounts of data. The HP X715W drive has obvious speed advantages. The media with 16Gb memory has 70 MB/s and 20 MB/s reading and writing speed accordingly. It should be noted that older models, with significantly larger memory sizes, do not differ in these characteristics too much. 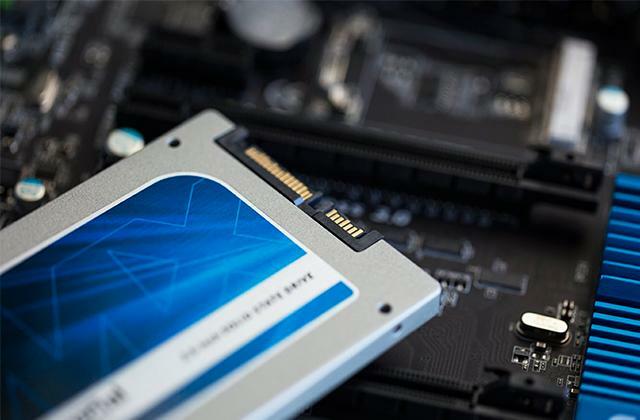 The 32, 64 and 128Gb drives have 75 Mb/s reading and 30 Mb/s writing speed. 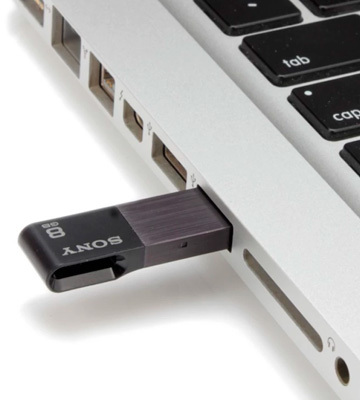 The USB standard plays an important role in achieving high transferring, reading, and writing speed. The HP X715W uses USB 3.0. This standard increases the maximum data transfer rate up to 5 Gbit/s, which is much higher than the previous 2.0 standard. By the way, if your laptop does not have 3.0 ports, there is nothing to worry about, as 3.0 is absolutely compatible with all previous standards. The speed of this model is equal to the 10 class SDHC memory cards used for streaming video in FHD quality. Things happen. Sometimes we can accidentally delete a file or even a whole folder with some important data. What to do? The main thing is not to panic, and then it is only the matter of skills and reasonable solutions. The Recuva utility from Piriform company is one of the absolutely free and easy but effective ways of recovering deleted data. It can recover deleted information both on your PC HDD and flash media. The Sandisk company is the largest developer and manufacturer of flash memory storage media, occupying nearly one-third of the world market. The products of this giant are remarkable for amazing quality and manufacturability. 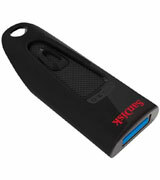 The SanDisk Ultra Pen Drive is one of the most outstanding models of the entire USB drives line. It is made in a thoughtful retractable form factor. At the same time, it is compact, only 5.6 cm in length and 2.1 cm in width. During transportation, the connector is safely hidden in the case, protecting it from oxidation and clogging. Due to the special loop, the flash drive can easily be placed in a bunch of keys or with other drives pile. Having chosen the SanDisk Ultra Pen Drive, you get a benefit of being able to pick up the drive capacity according to your needs. The following modifications are available: 16, 32, 64, 128 and even 256Gb. 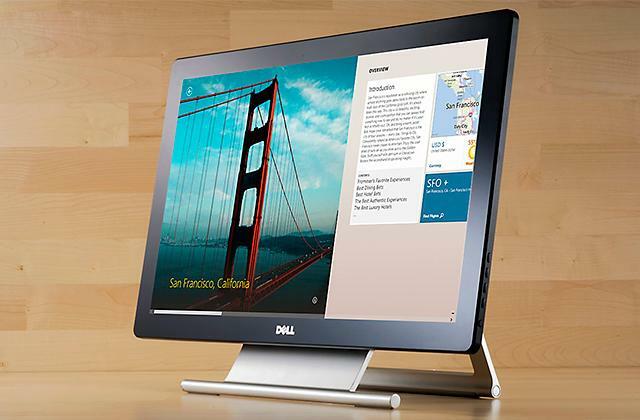 It is worth noting that the drive features reading and writing high-speed rate, which is a great plus. 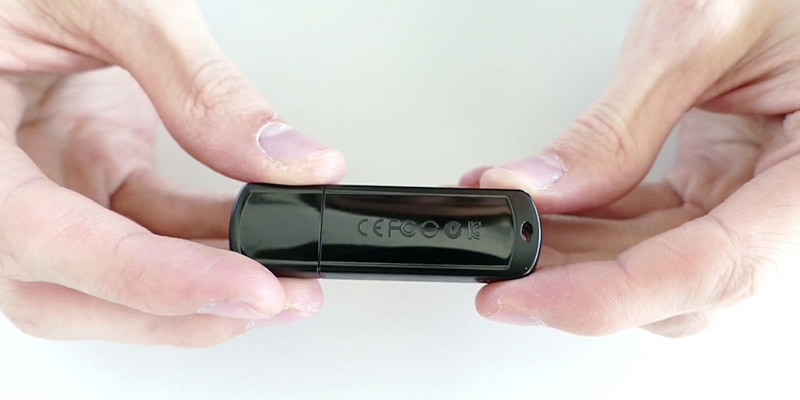 The company claims that saving a movie on this USB flash drive takes only 40 seconds. Of course, you might be skeptical about this statement but still, let's consider everything as it really is. This model really has a very high reading speed, reaching up to 100 Mb/s, and the writing speed will directly depend on the port the flash drive is being connected to. 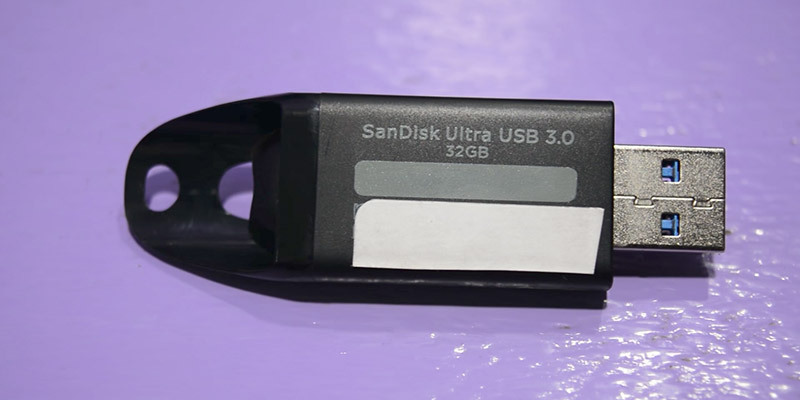 You will get the maximum speed connecting it to USB 3.0, as the USB flash drive belongs to this type. On average, recording up to 10 Gb of information will take 4 minutes. For sure, it beats a lot of records and indicates that the manufacturer claims aren't that far from to be true. 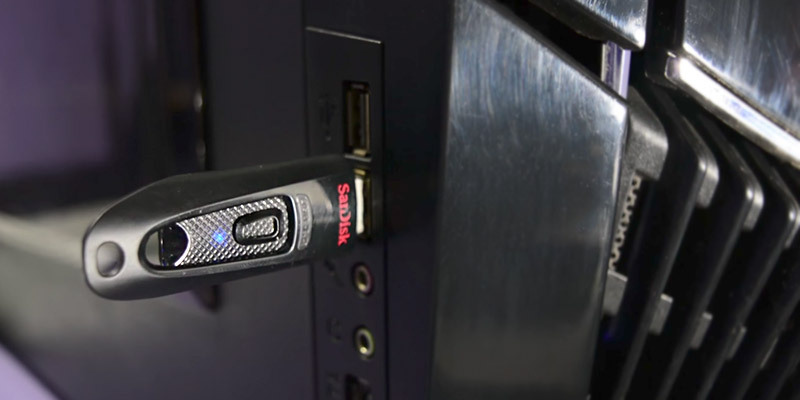 The SanDisk Ultra Pen Drive protects your personal data from access by unwanted users. An exclusive SanDisk SecureAccess software allows you to create a password-protected folder for storing all your personal data there. If you lose your data, you can use the Sandisk branded solution, namely the SanDisk RescuePRO and RescuePRO Deluxe programs, which will help recover the deleted files on a professional level. 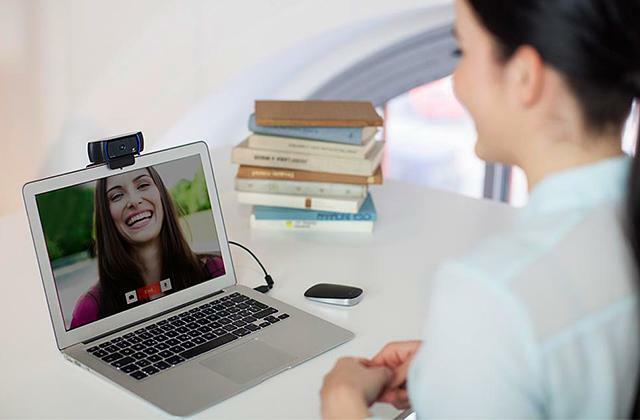 By the way, this software is available not only for computers running Windows but also for laptops and all-in-one Apple solutions. 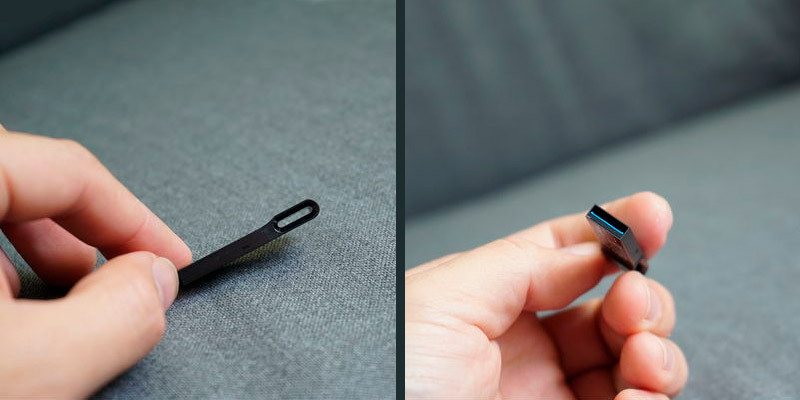 The Kingston DataTraveler SE9 is an extremely miniature media, which can be worn not only on a bunch of keys but even on the neck as a pendant. 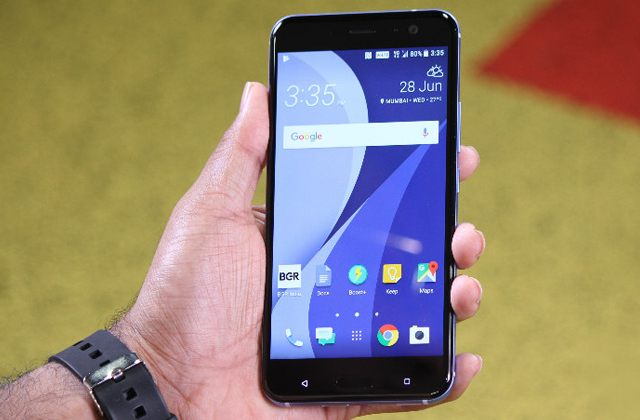 This is thanks to its tiny body and stylish design. 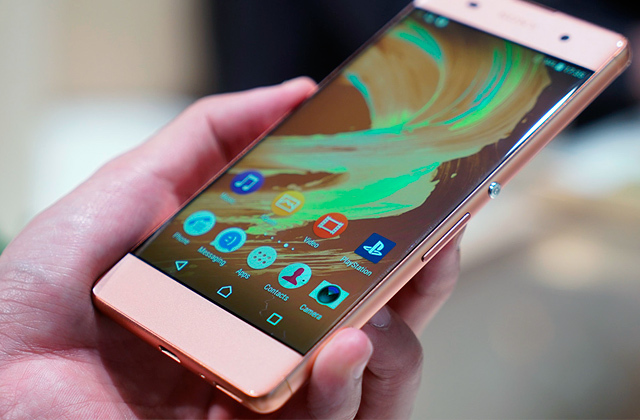 The housing is entirely made of durable metal, which protects the device from breaking and contributes to its glossy and attractive appearance. Also, you can hook it up on the ring, which comes as a part of the drive, and wear it on you, knowing that it won't get lost, regardless the circumstances. The Kingston flash card is not only very compact but also a very practical solution. 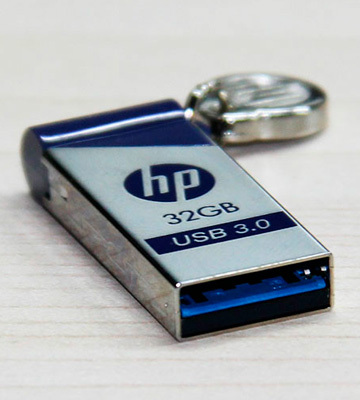 The USB flash drive is recognised equally well by computers running not only on such popular operating systems as Windows or MAC OS, but also more specific ones, such as Linux, and even Chrome OS. 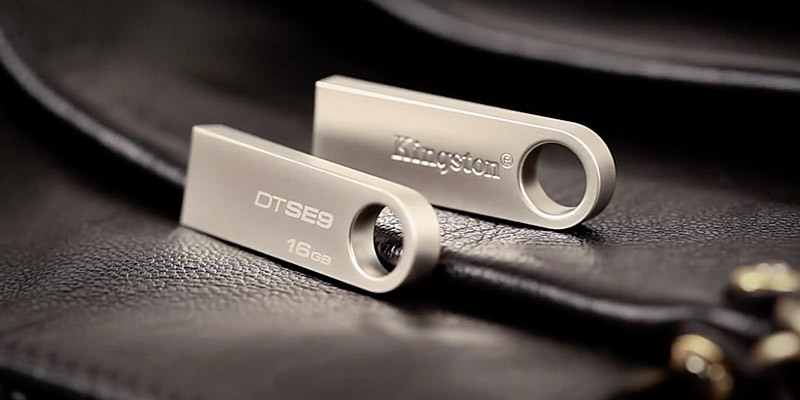 In particular, you can connect the OTG cable to Android tablets with the OTG support, and the Kingston DataTraveler SE9 will be recognised. The memory capacity of 8 GB enables you to store all your documents and important information safe. The USB 2.0 interface provides trouble free operation and processing of files in any format. 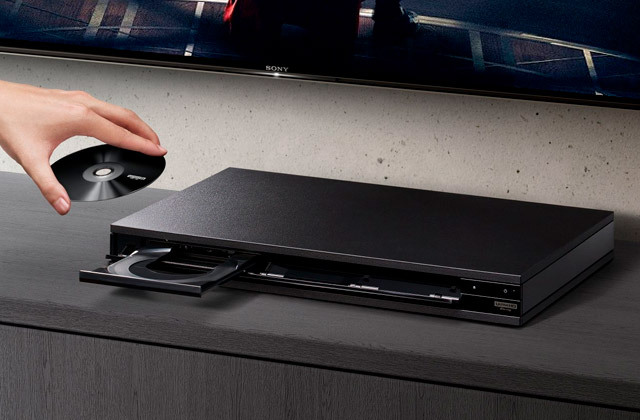 A standard open USB A connector allows you to use the device with any PC and even with modern models of TVs, DVDs, Blu-ray players. As a rule, flash drives are formatted in Fat 32, which doesn't make a difference unless you need to write very big files. If that's exactly what you buy the drive for, you may want to reformat it in NTFS. For your better understanding, NTFS (new technology file system) is a modern technologically advanced file system popular between Windows users, which isn't surprising, given that it's been developed by the same Microsoft. The bad thing, though, is that most other existing operating systems seem not to recognize this format. Before ejecting the drive from a digital camera or other host device, it is important to wait until all operations are completed, otherwise, you may run a risk of damaging the important data. 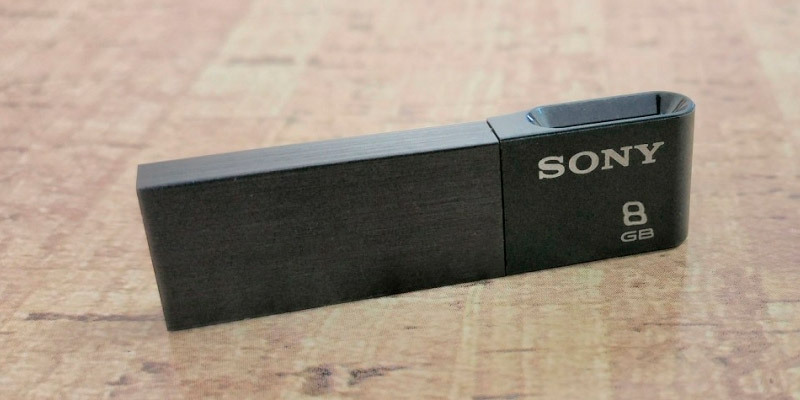 The USB drive by Sony features a refined and extraordinary design standing out for its miniature size. Made in dark colours, this drive for sure can become a stylish accessory. 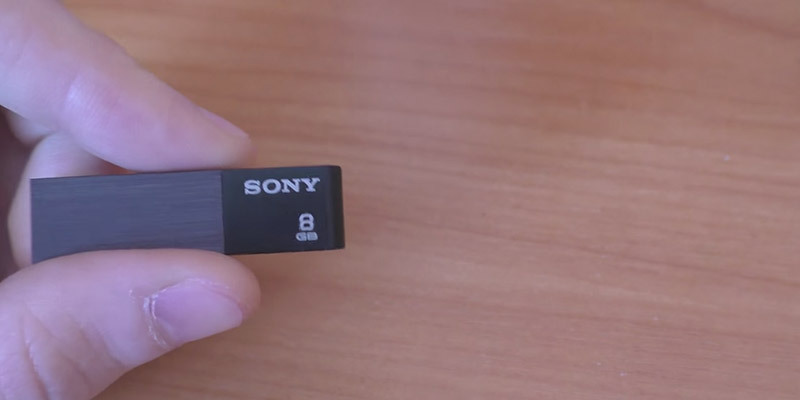 As all Sony products, the flash drive offers high quality and manufacturability. The main part of the device is made of metal, while the back side is made of plastic. This makes it solid, compact, and lightweight. Judge for yourself; the Sony USM8W has the length of 4.3 cm and the width of 1.2 cm but weighs only 4 grammes. 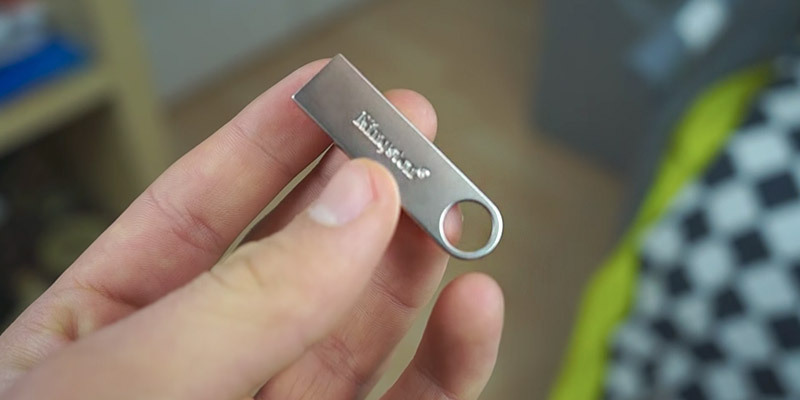 This flash drive is a perfect option for connecting not only to computers but also for listening to music from car players or watching movies on modern TVs. 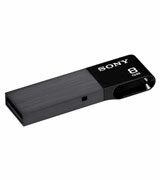 An important feature of the Sony USM8W, as in fact of other flash drives, is the characteristics of writing and reading. Considering the fact that the USB flash drive belongs to the USB 2.0 standard, its performance is pretty good. The reading speed is about 20 Mb/s, while the writing speed is about 11 Mb/s. Approximately, this speed enables you to record several movies with the total weight of about 6 GB. Moreover, it will take just about 8 minutes. Of course, no USB 2.0 flash drive can cope with multi-threaded recording, so if you want to record the data in several streams quickly, it is advisable to use an external HDD. How to Extend the USB Flash Drive Life? An important factor seriously influencing and determining the device capacity is the frequency of overwriting the memory cells. The specifics of memory organisation at the physical level should be taken into account. The written data occupy the very first memory cells. After these data are deleted, the cells get the status of free and they are occupied by the new recorded data. In this case, the middle and for sure, the last cells remain unused. If you frequently delete/record data, the first cells "are used up" much quicker than others. What to do in this case? It is enough to follow a simple word of advice - do not delete the files if it is not necessary. Let your USB flash drive be staffed. Then if there is not enough free space, you can format it or just delete unnecessary data. When you eject a flash drive, use the "safely remove of devices and disks" function. This is a small notification icon that appears when you connect a disk device to the USB port. Ignoring this function can lead to negative consequences. The user risks losing the recorded on the USB drive data, or it may even put the drive out of operation. The age of CD and DVD discs is falling into oblivion, slowly but surely. Today, it's hard to find a person who has never used a USB flash drive instead. USB drives are much sturdier than discs, offer considerably more storage space, and it's virtually impossible to find a PC or a laptop without any USB ports (whereas more and more laptops lose optical drives every year). In short, USB flash drives are the most convenient way to carry all your important data in your pocket. 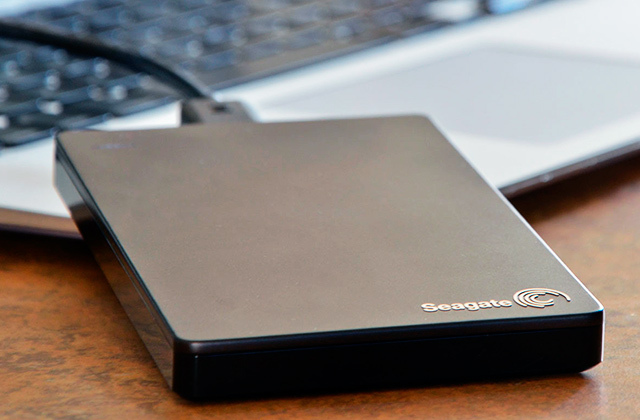 If you need an external drive to exchange very large amounts of data, we would also recommend considering the purchase of external hard drives, solid state drives, external solid state drives and portable hard drives. Surveys claim that the most frequently bought USB flash drives range from 8GB to 256GB in capacity, although it is not as surprising today as it may seem to find a tiny drive of 512GB or 1TB either. 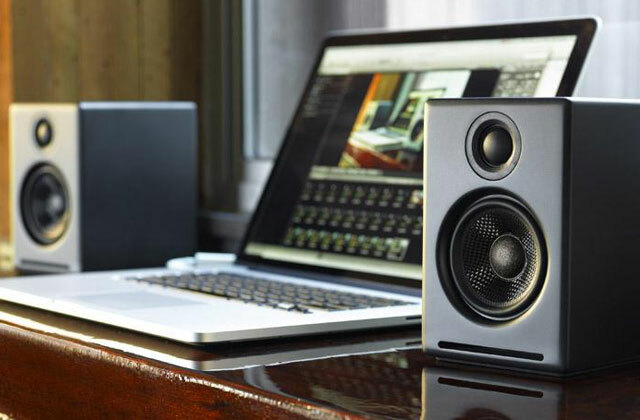 The question here is whether you are ready to pay quite an amount of money for such a device when you can have the same capacity at a cheaper price and it will be in an only slightly bigger casing (external hard drive). But well, to everyone their own. When selecting a storage capacity, consider what kind of files you are going to transfer. Most text files and office documents, even long ones, do not require a lot of space and a 32GB drive will be more than enough. The same goes for the majority of single-layer images. But if you are a graphic designer, a video editor, a programmer, you probably know that there are files that "weigh" a couple GB each. And for those choosing a USB flash drive for media like movies or music, the bigger the better, of course. Data transfer speed is a performance parameter, and it often differs for reading and writing speed. Reading speed is in charge when we are talking about running apps and files. Say, you want to watch a 3GB movie stored on your drive. 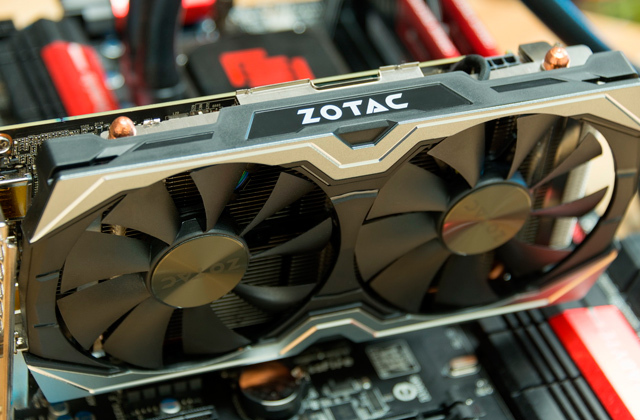 For it to play without lagging we recommend drives with reading speed of 150MB/s and higher. Reading documents, on the other hand, does not require so much. Writing speed is, namely, a speed your data will be transferred to the drive at. It is usually lower than reading speed as the processes differ. You won't necessarily need 150MB/s for writing data to the drive. The same 3GB movie file will be transferred to the drive in 90 seconds at a writing speed of 45MB/s! To increase the data transfer speed, manufacturers create new technologies and new standards. USB 3.0 is faster than USB 2.0 but before buying check the standard in your laptop/PC interface as it also affects the speed, naturally. Also, although most USB 3.0 devices and interfaces are forward/backward compatible, some sockets might not fit a plug of a different standard so look into this too. The last but not the least important parameter to consider. Data can be protected from theft and from destruction. If you need a drive for personal data, look for the one with encryption and password protection. And to protect the drive you take when you go hiking, for example, there are technologies that make the casing water-, dust-, impact-proof, etc. There are also drives that feature software to restore deleted data. Q: What are USB flash drives used for? A: These devices are rather portable. 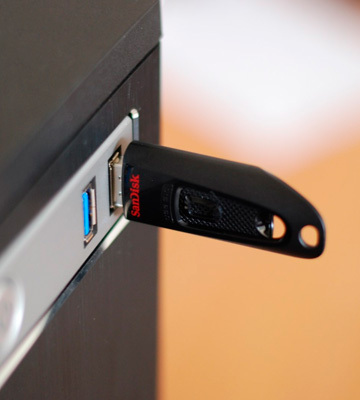 Thanks to their compact size and ability to store a big amount of information, USB flash drives are perfect devices to transfer data between computers. The storage capacity of these devices has been increasing all the time and they are getting more and more popular for storing important files. Q: Is it possible to run a few operations simultaneously (for example, to write two or three files at once)? A: Basically, it is possible. But if your drive is not capable of doing it properly, it can take longer or the processing may be stopped. Actually, it depends on the writing speed of the device you own. The 3.0 USB sticks are considered to do it better. Q: What to do if all the information was accidentally deleted? A: First of all, not to worry. 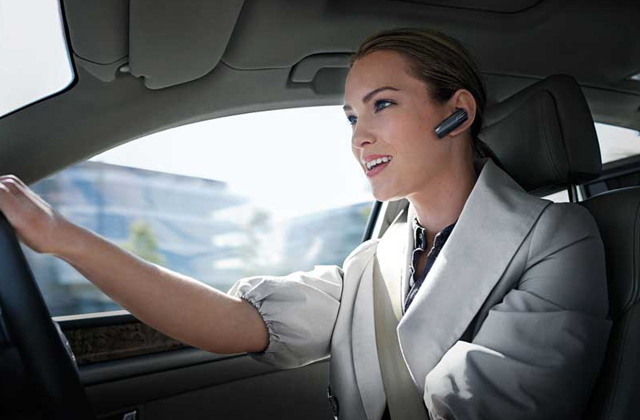 Modern technologies offer a number of solutions. There are special applications and programs to restore the lost data. So if you have such a problem, just find an appropriate program and it will do all the rest. 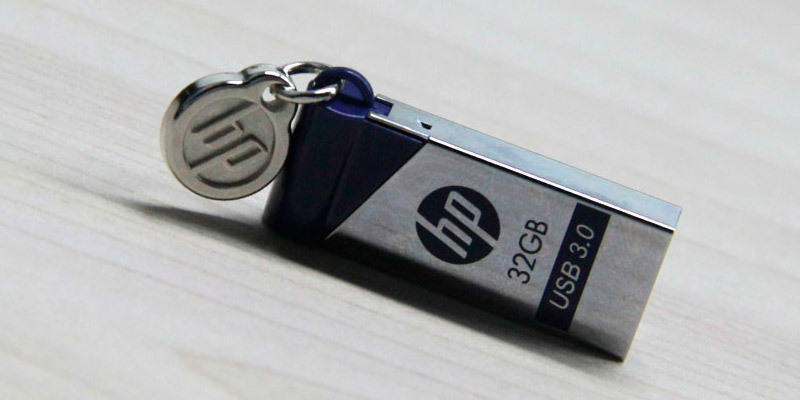 Q: What are the most important characteristics of a USB flash drive? A: When looking for a media, a solid design and data protection are the first things to be considered. 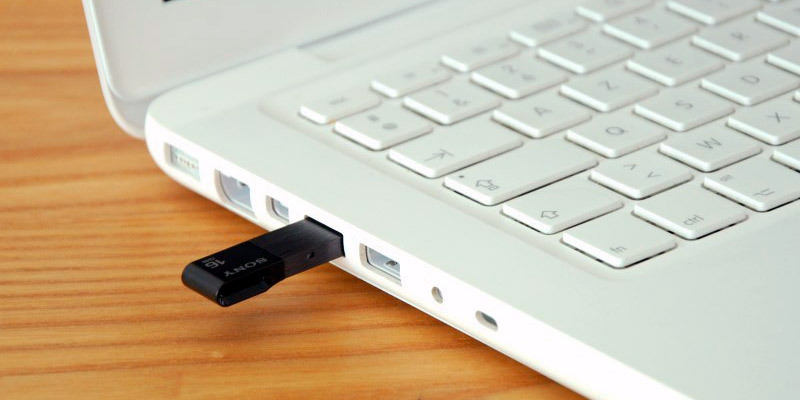 By choosing a reliable flash drive, you will avoid a problem of lost data when you need them most. 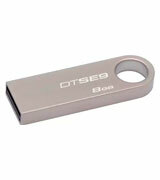 USB flash drives can also come in various designs, which can be another thing contributing to your decision. Q: What are other essential features about it? 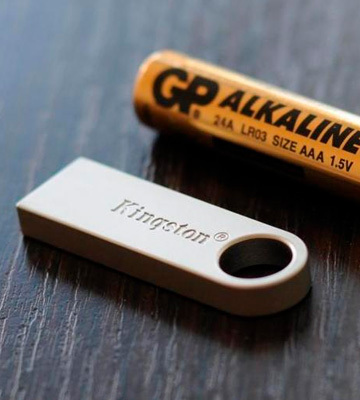 A: The best USB sticks are very small in size and offer very generous capacity. These are importation characteristics which you may also want to take into account. For enhanced convenience of use, we'd also recommend you to shoot for USB drives with a comparatively high transferring speed. Q: Is there any protection of the information kept on the USB flash drive? A: Some models offer this option, while others do not. If you need the media for professional use, for example, and you are going to store some confidential information, it is advisable to purchase one with the password protection. In this case, you will be sure that all the content is reliably protected. Q: Which USB standard is better? A: Actually, it depends on the data transfer speed you need. 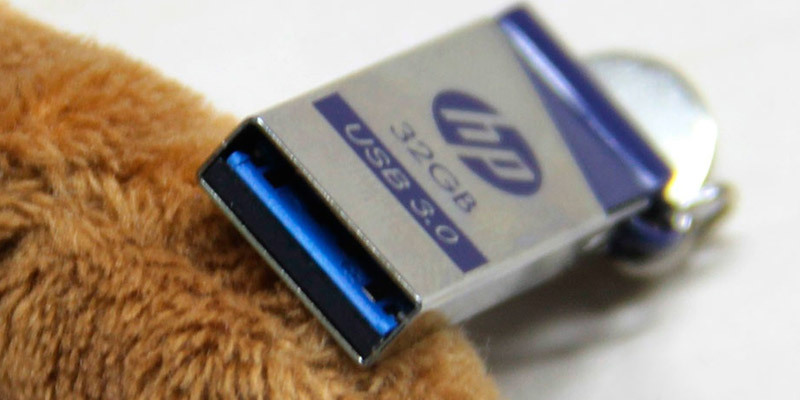 Talking about the USB 3.0, it is faster than USB 2.0. You should also remember that the USB 3.0 devices and interfaces are compatible as a rule, but it is better to check your sockets. In addition, it is reasonable to look at your laptop/PC interface standard before buying. If you take into account all these tips, you will choose the best USB stick. Q: What about protection of the USB flash drive itself? A: Talking about protection from different external damages, you should consider every model singly. Some media are made of plastic, and there are also those made of metal. Obviously, the latter are considered to be more durable and less prone to damage, however, the tradeoff is that they also weigh more. 1. Guide to Choosing USB Flash Drives, eBay. March 3, 2016. 2. Lisa Johnston 4 Tips For Buying a Flash Drive, Lifewire. June 18, 2014. 3. How to Buy a USB Flash Drive That's Right for You, wikiHow. 4. USB Flash Drive Buying Guide, Walmart. 5. Ultimate Buying Guide for Custom Flash Drives, Amsterdam Printing. 6. Jeff Tyson How Flash Memory Works, HowStuffWorks. 7. USB flash drive, Wikipedia. May 19, 2017. 8. 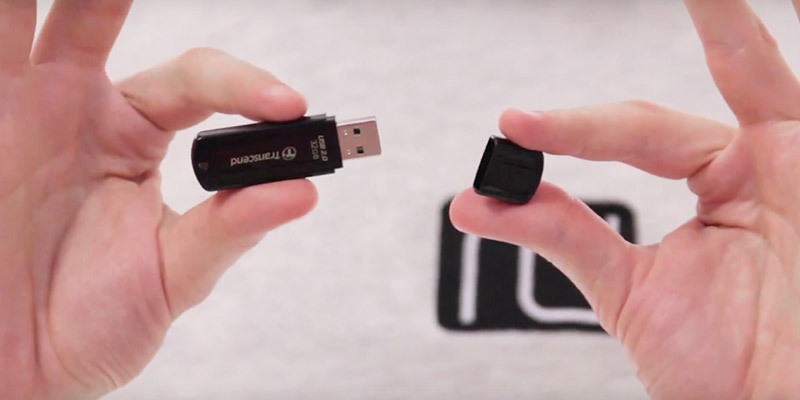 How Does a USB Flash Drive Work? Tech-FAQ. March 11, 2016. 9. 3 Tools to Check and Test USB Flash Drive, Raymond.CC. 10. Melanie Pinola Carry Everything You Need on a Tiny USB Stick, Lifewire. October 19, 2016.